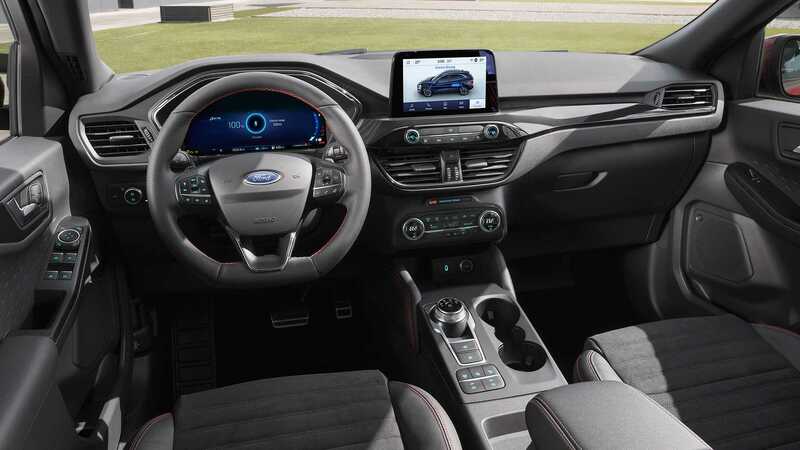 The 2020 Ford Escape debuts a radically new look for the fourth generation of the Blue Oval's compact crossover. 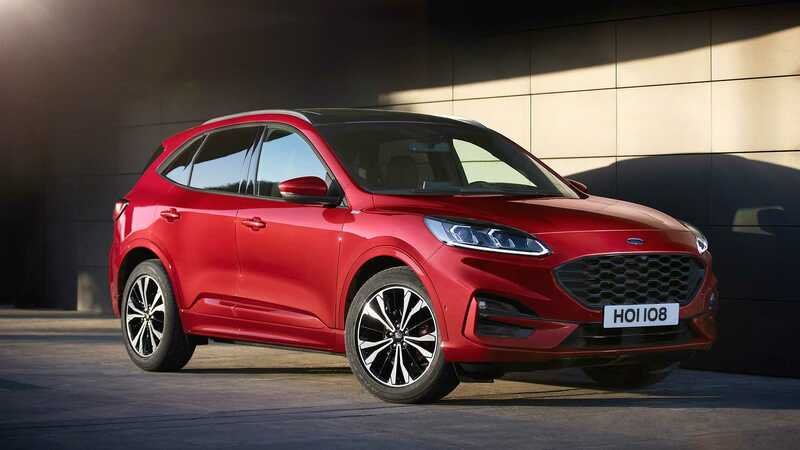 There's a new buzz from underneath the skin, too, where the model is now available with hybrid and plug-in hybrid powertrains, in addition to a pair of turbocharged choices. 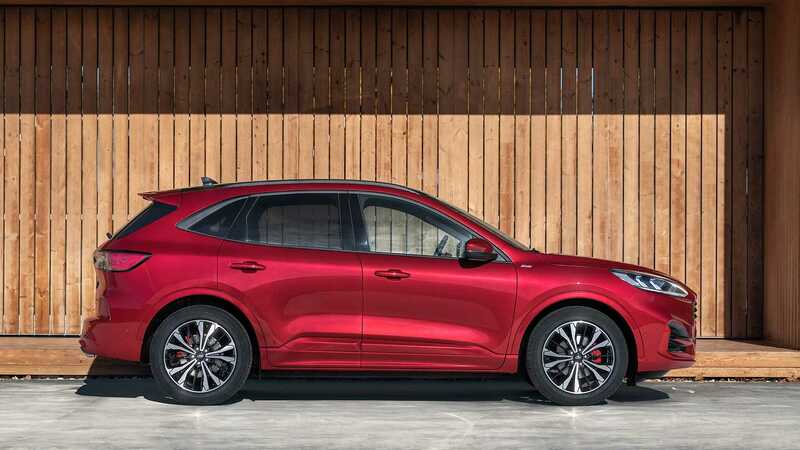 The 2020 Escape is over 200 pounds (91 kilograms) lighter than the outgoing model. However, the footprint is larger due to a wider track and longer length. The ride height is lower, too. These revised dimensions and the new arching roofline make the latest generation look less rugged. Instead, the aesthetic has more in common with a five-door hatchback to our eyes but with a taller ride. Last edited by nadepalma; 04-02-2019 at 10:04 AM. Obviously this is the Euro-spec Kuga, but to my eyes, it looks both "mature" and "modern" at the same time, without screaming "affordable". I get a quasi Mazda CX-5 kind of a vibe from the side profile. From the rear, I see echoes of the current Grant Cherokee's rear-taillamp cluster. I'm not a huge fan of the interior, but for this segment, it is far from the worst place to spend time. Overall, I think it has a much more cohesive and welcoming of a design than the current product. What's more, it looks like they really improved things on the powertrain side. The hybrid will be a huge hit for them. The previous generation Escape and Mariner hybrids were very, very popular. People were scratching their heads at the time as to why Ford would have cancelled the hybrid when it was a hit with customers (the answer is that they were hoping that offering a dedicated C-Max hybrid would be a winner --- they were wrong). Considering that the current Escape still sells very well for Ford, they couldn't screw it up. From the little we see here, I don't think they'll lose any customers (and might even attract a few new ones). All of this, of course, makes one hope that GM is taking the Equinox and Terrain MCEs seriously. Last edited by nadepalma; 04-02-2019 at 10:10 AM. Looks like a smash hit. Ford has all of the bases covered. Great job! I was however, hoping for an ST model with a manual. I will keep dreaming. To create a sportier look for the all-new Escape, designers turned to some of the most highprofile sports cars in the Ford showroom. The shield-shaped trapezoidal grille is inspired by the sixth-generation Mustang, while the lower front end borrows from Ford GT. Compared to the current model, the all-new Escape stands lower, wider and longer. 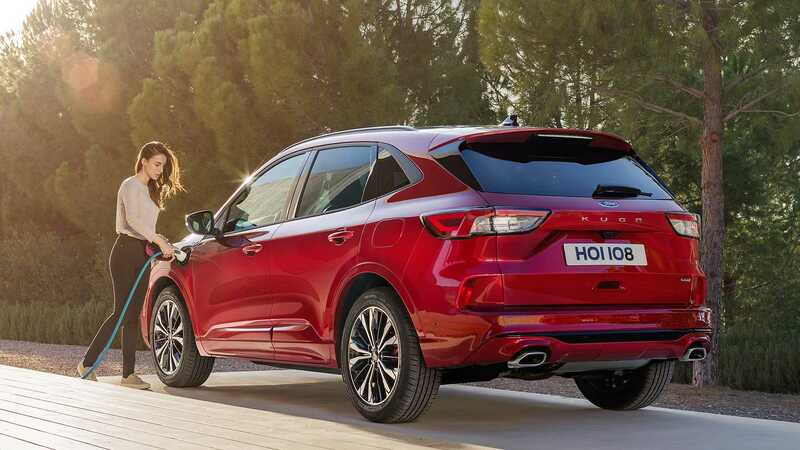 The plug-in hybrid variant, available on every trim level except S and SE Sport, projects a bestin-class EPA-estimated range of at least 30 miles in electric-only mode. Escape Plug-In Hybrid has a Level 1 / Level 2 AC charging port. Using a 110-volt Level 1 charge, the estimated time to fully charge the battery is 10 to 11 hours. Using a 240-volt Level 2 charge, charge time drops to roughly 3.5 hours. Unrivaled flexibility Sliding second-row seats in gas engine-powered models allow rear-seat passengers to enjoy best-in-class maximum second-row legroom with the seats in the full rearward position, plus increased knee clearance and footwell length for a more comfortable ride. The all-new Escape Hybrid packages its liquid-cooled lithium-ion battery smartly below the second-row seats rather than occupying a significant portion of the cargo area. The briefcaseshaped battery in the standard hybrid measures approximately one-third the size of the old Escape Hybrid battery. Smartest Escape Ever With a selectable drive mode system standard across the lineup, Escape makes it easy for Escape owners to create the ride experience they desire – or the one that conditions demand. Modes are tailored for normal, eco, sport and slippery, plus snow and sand conditions. History of Escape Escape debuted on North American roads for the 2001 model year, introducing drivers to a unique blend of style, convenience, efficiency and capability. In its first full year on sale, Escape became America’s best-selling small SUV. Pictures of US Escape here. Do you have a link to that press release? Sharp-looking and appears to be well executed. This and the Equinox appear to be good choices for those looking at compact crossovers. Quite honestly it looks fairly good considering the input of Ford Europe. Covering all their bases with stylish vehicles. Not bad, not bad at all. Ford trying for erstwhile Focus buyers. The 2020 Equinox will be getting a face lift, should be interesting to see these two duke it out. It looks like a Nissan Rogue in the side profile, from the front a little like jaquar. To me its ugly like most fords except for the mustang. Ford following the stupid screen design on top of the dash. Looks so dumb and visual distraction. Just like the Koreans and some Mercedes. Thanks for the link! I was looking but couldn't find it. I'm not big on the front end, but the rest seems to be pretty good. No longer a crossover now a hatchback? Guess they are going after a different market. Blah. It looks so painfully generic in profile. Not one interesting character line to be found anywhere. New Australian Escape same as the New American Escape?